528 Hz DNA repair: 528Hz is essential to the geometry of circles and spirals consistent with DNA structuring and hydrosonic restructuring. Evidence suggests that 528 Hz has the potential to positively affect cellular water clusters to assist in removing impurities to prevent sickness and disease. When we talk about the benefits of the ancient Solfeggio frequencies, we often talk in terms of their spiritual, psychological, and other non-material effects. But some tones, most notably 528 Hz, have physical, biological significance as well. In fact, 528 Hz has earned a reputation for its ability to reach and repair the very biological building blocks of our being, namely our cells and DNA. Dr. Leonard Horowitz has been crucial for spreading the word on this “miracle” tone, but its use is much older and wider than that. 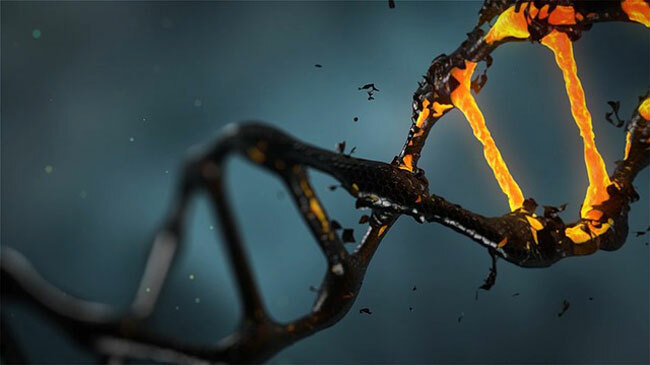 Though the modern medical and scientific establishment is slow to publish research in this area, we already know of several ways 528 Hz can heal our body and DNA. The positive effects of 528 Hz on water are numerous and proven. For instance, there was the experiment conducted by John and Nancy Hutchinson in the Gulf of Mexico in 2010. Following the infamous BP oil spill known as “Deepwater Horizon”, they used 528 Hz and other Solfeggio frequencies to treat the water. With just four hours of exposure, they were able to reduce the amount of oil and grease in a section of ocean from 7 parts per million to just 1 parts per million. This amazing feat was later confirmed by Dr. Robert Naman and the Analytical Chemical Testing Laboratory, Inc., who concluded that it was “it is clear that the process may have extreme value”. And water, specifically water clustered in the form of a six-sided or hexagonal shape, is incredibly important to the structure and health of our DNA. 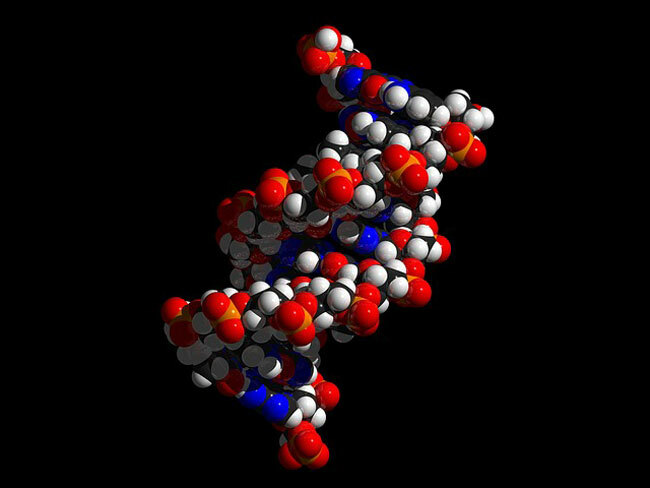 These clusters are smaller and better able to move through DNA’s membrane than normal water molecules, which makes them better at removing impurities. These same impurities, if not cleansed, can contribute to illness and even disease. Professor Richard J. Saykally and other geneticists at UC Berkeley have conducted experiments proving that reducing a DNA strand’s access to these energized water clusters harms its ability to function properly. Dehydrated DNA is less energetic and less healthy. Evidence suggests that 528 Hz has healing properties. How is This Relevant to 528 Hz? Because the frequency actually helps create these six-sided water clusters, as shown by the work of Dr. Lee Lorenzen who discovered clustered healing water. This makes sense when we consider the law of vibration, which states that all matter and molecules are constantly moving and vibrating. As biochemist Steve Chemiski points out in Fork In the Road, the water clusters in question vibrate at exactly 528 cycles per second. When we expose normal water to 528 Hz, it begins to vibrate in synchronicity and thus form the crystal-shaped, energized water clusters that create DNA’s protective matrix. Though this effect is indirect, it’s the most notable example of 528 Hz’s potential to heal our DNA. Consider that the human body is composed of approximately 70% water, and at the cellular level it nears 90%. If this frequency can positively affect cellular water clusters, then it has the potential to assist in removing impurities from the cells in your body, to create a healthier cellular environment capable of fighting off sickness and disease. 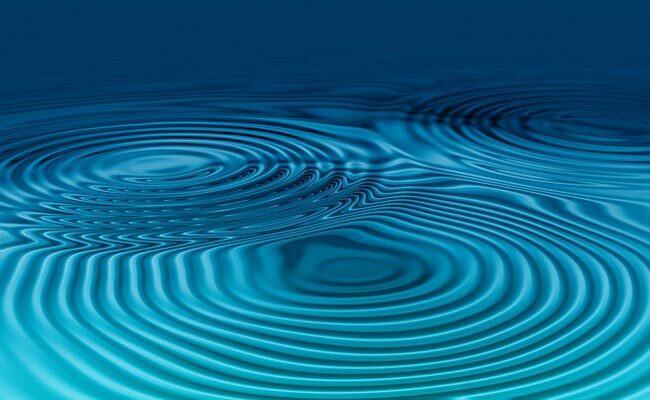 When we expose normal water to 528 Hz, it begins to vibrate in synchronicity. The effects of 528 Hz on DNA may not all be indirect. After all, as shown by math scientist Victor Showell and acoustic researcher John Stuart Reid, the number 528 is actually found in the geometry of the spiral shape that is the double helix. We can also look to the research of Dr. Glen Rein. Working at the Quantum Biology Research Lab in 1998, Dr. Rein conducted an experiment that exposed in vitro DNA to four different types of music. These types were rock, classical, Sanskrit chants, and Gregorian chants. He then measured the effects, if any, the music had on the DNA’s rate of UV light absorption, which is an important function of healthy DNA. Classical music and rock music caused insignificant changes in absorption, with classical increasing and rock decreasing absorption by less than 2%. The Sanskrit chanting, however, caused a 5.8% to 8.2% increase in absorption between two separate experiments, while Gregorian chanting increased it by 5.0% to 9.0%. As we know, the sacred Gregorian chants were based on the Solfeggio frequencies, which includes 528 Hz. And these ancient notes have been used in the religious music of other cultures as well, including the Sanskrit chants, which are used during yoga and meditation in Hinduism. There we have notable proof of the effect of 528 Hz on DNA. The 528 tone activates your imagination, intention and intuition to operate for your highest and best purpose. Of course, its effects have been known in the medical world for much longer than that. The medical pioneer Dr. Royal Raymond Rife, working in the early 20th century, used many frequencies in his practice of radionics or electromagnetic therapy, but he specifically referred to 528 for its ability for DNA repair. Dr. Rife used the frequency among hundreds of others for use with his Rife Machine – ‘Radionics’ . He labeled 528 as “DNA Repair”. The number 528 is actually found in the geometry of the spiral shape that is the double helix. Along with 528 Hz’s effects on our DNA, it’s also worth looking at its potential uses on our cells and cellular structure. A study published in 2017 in the Journal of Addiction & Therapy, by the University of Tehran’s Department of Biochemistry found that cells treated with a combination of ethanol and 528 Hz tones played at 80 db saw a noticeable reduction in reductive oxygen species, or ROS, and thus an improvement on the cell death created by severe alcoholism. Study Objective: Alcohol consumption, because of damaging effects on various tissues including nerves system, causes a major problem in human societies. Nowadays, Usages of the non-pharmacological and non-invasive agents is common. Sound waves which are classified in non-invasive agent, beside on stimulation the auditory cells, also impact on non- auditory cells. 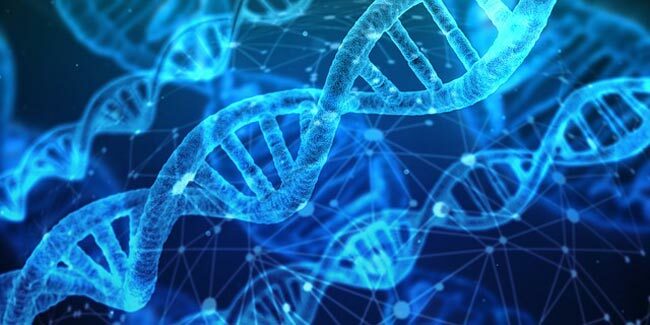 It has been reported that the frequency of 528 HZ is related to the note MI and it shown some strange effects such as increasing the ability of DNA repair. Results: The current results show that in IC50 of ethanol, the frequency of 528 Hz increased cells viability about 20% and the level of ROS production has been reduced up to 100%. Conclusion: Therefore, the use of these sound waves can be useful to reduce the toxic effects of ethanol on astrocytes cells culture. Not only could this prove to be a powerful tool for treating central nervous system damage in alcoholics (or even babies born to alcoholics), it’s an indicator of 528 Hz’s positive effects on cellular health in general. 528 HzDNA repair is said to be followed by an increased amount of life energy: clarity of mind, conscious awareness, awakened / activated creativity, and ecstatic states like deep inner peace and joy. On a related note, Dr. James Gimzewski of UCLA has discovered that individual cells actually create sounds, and that different cells have different sonic signatures or vibrations. More law of vibration at work? While this form of study (known as sonocytology) is relatively new, the theoretical implications are vast. For instance, Dr. Gimzewski hopes to be able to destroy harmful cells by using their own “songs” against them, without damaging any of the surrounding cells. Could helpful frequencies, like 528 Hz and the other Solfeggio tones, create positive changes in our cells’ vibrations? It seems very likely from what we’ve seen, but we’re still waiting on modern medicine and science to catch up with what the ancients have known for at least a thousand years. We’re still just rediscovering the positive effects 528 Hz has on our spiritual, mental, and physical well-being, including DNA repair. And you can start harnessing the benefits by listening to 528 Hz music today. Copyright © MindVibrations.com 2019. All Rights Reserved.